This cozy mystery series with light, clean romance is a fun break from daily life. The readers can pretend they are in Florence, Italy, among eccentric characters, many of whom are related to the charming protagonist, and observing a budding romance between two people who are perfect for each other. Charmer's Death is the second book in the Temptation in Florence Series. The author brings us up to speed on what we should know, without giving too much away, but I would suggest you read the books in order. 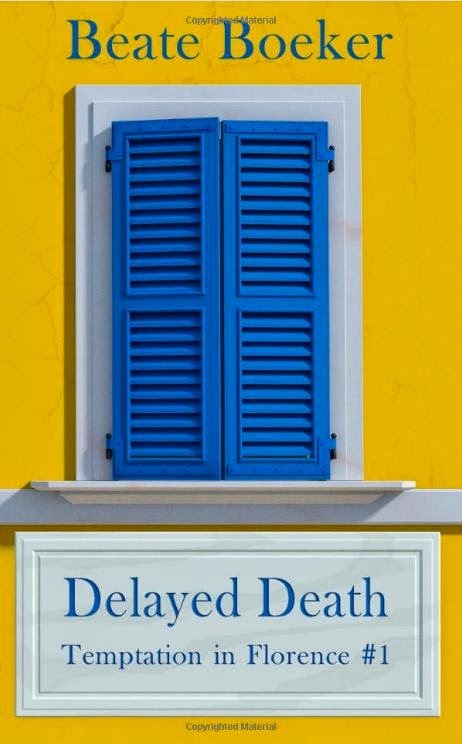 The first book in the series, Delayed Death, (reviewed on this site) is offered at a special price, so you can try it to see if you like it, before spending money on the rest of the books. While Carlina's budding romance with Stefano, a homicide detective, is a major interest in the story, it is really Carlina's little shop that is her true love. This is Carlina describing the appeal of Temptation, her tiny lingerie shop that has a prime location in the historic center of Florence. You shouldn't underestimate how attractive a tiny universe can be if it's all in your own hands. You can manipulate it, and it's up to you to make it a success. Few things equal that feeling. If you have read the author's stand-alone book, A New Life, a clean romance with light mystery set in Florence (reviewed on this site), you will recognize the origins of the Stefano Garini character. I was pleasantly surprised while reading Charmer's Death that the author let me catch up with the couple who are at the center of the story in A New Life. They play an important role in Charmer's Death. She didn't want him to hang up. She wanted him to laugh again. It went straight through her, warm and strong, like him. Her thoughts went to Stefano Garini as if pulled by an elastic - whenever she didn't pay attention, they snapped back to him. This is a clean romance, with a fun mystery, set in a beautiful city. The book has had a recent edit, so the text is very clean. The writing is engaging and it keeps the story moving along at a quick pace. Carlina is a fun character, and her lingerie shop, Temptation, feels so real, I think I will look for it the next time I'm in Florence! Her eccentric family provide light humor for us, and for Stefano, but they also bring worries for the homicide detective. Members of the vast Mantoni clan repeatedly turn up linked to dead bodies! 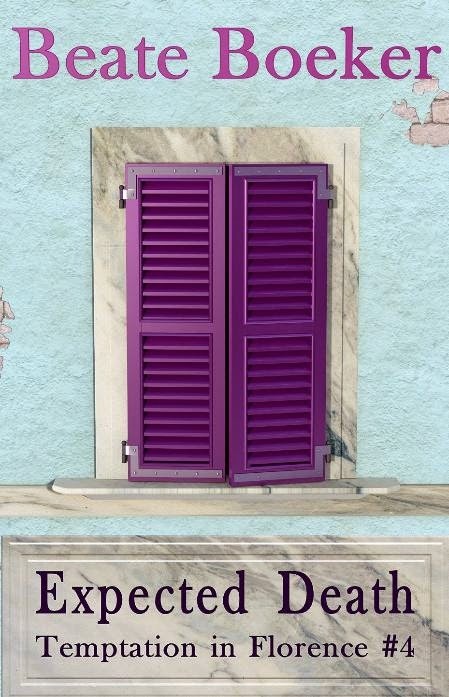 Charmer's Death is a light, happy read, that takes one out of daily life for a while, and transports one to Florence, Italy, where you have a fly-on-the-wall view of Carlina and Stefano's rocky road to romance. 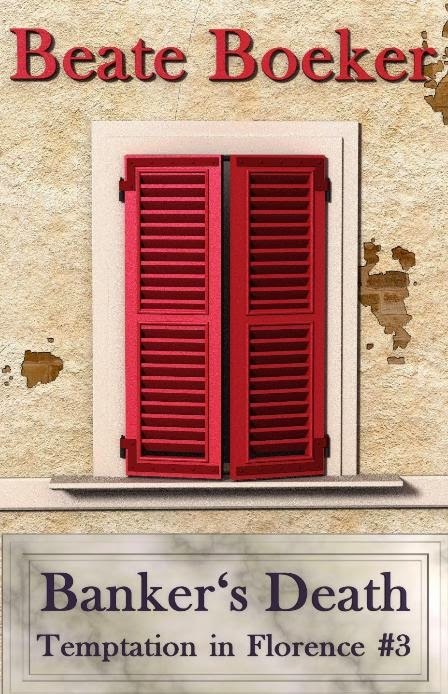 Delayed Death is a mystery set in Florence, Italy. When Carlina finds her grandfather dead on the day of her cousin's wedding, she decides to hide the corpse until after the ceremony. However, her grandfather was poisoned, and she becomes the attractive Inspector's prime suspect. On top of that, she has to manage her boisterous family and her luxurious lingerie store called Temptation, a juggling act that creates many hilarious situations. What do you do when your best customer seduces your beautiful cousin? 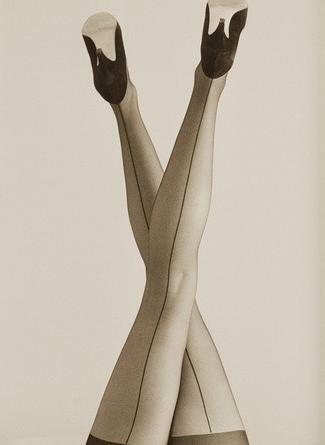 You try to save the situation, but it becomes a little harder than planned when he's found strangled with a pair of brand new pantyhose that come straight from your own store Temptation - the most luxurious lingerie store in Florence, Italy. Next, a disturbing diary crops up that lists the former lovers of the dead man, creating chaos in more than one home. Carlina has her hands full with managing her store at its peak season, preparing the Christmas fair, and dodging her mother, who has discovered fortune telling as the next big thing. Her feelings for the attractive Inspector Garini don't help at all as she desperately tries to find the murderer before it's too late. When Carlina's attractive cousin Valentino returns from Dubai to Florence, he quickly becomes the most unpopular member of the wide-spread Mantoni family. Plenty of people have reason to hate him, and when he turns up stabbed a short time later, Commissario Garini, now officially Carlina's boyfriend, only wants to turn and run. However, he's forced to take on the case and soon realizes that even Carlina doesn't tell him the full truth. This puts their relationship under immense strain. At the same time, Carlina's mother develops an extreme health food passion that revolts the whole family. Then another, seemingly unrelated, murder of a circus clown drops into their laps and Garini has to hurry to connect all the clues before things spiral out of control. When Uncle Teo falls in love on his eightieth birthday, his family is in an uproar because his new girlfriend has an astonishing talent for making enemies. 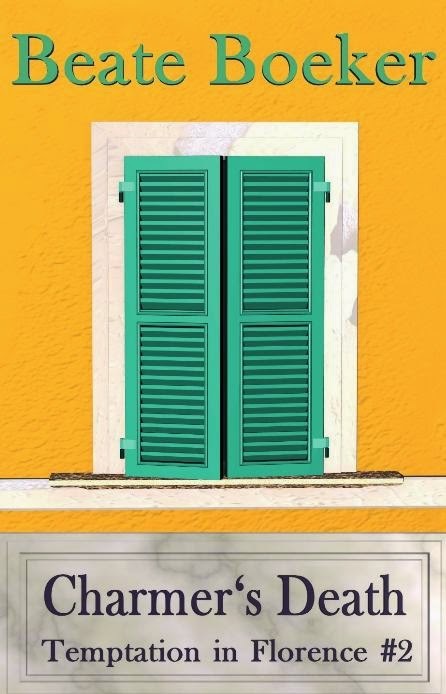 Before long, murder is in the air, and when she is indeed found dead at the foot of the historical San Niccolò Tower, the Mantoni family has to answer some uncomfortable questions. Commissario Stefano Garini is forced to investigate the murder against his will, hoping that his relationship with Carlina will withstand the strain of another murder investigation in her family. Please visit the author's website and Facebook page. 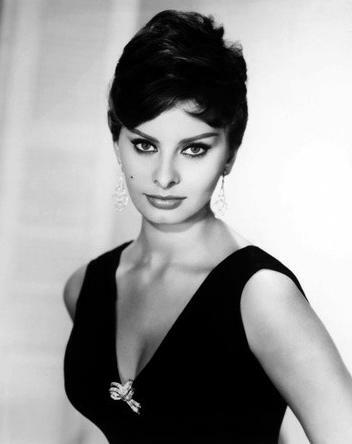 Carlina has cat-like eyes, much like Sophia Loren, and they drive Stefano crazy!